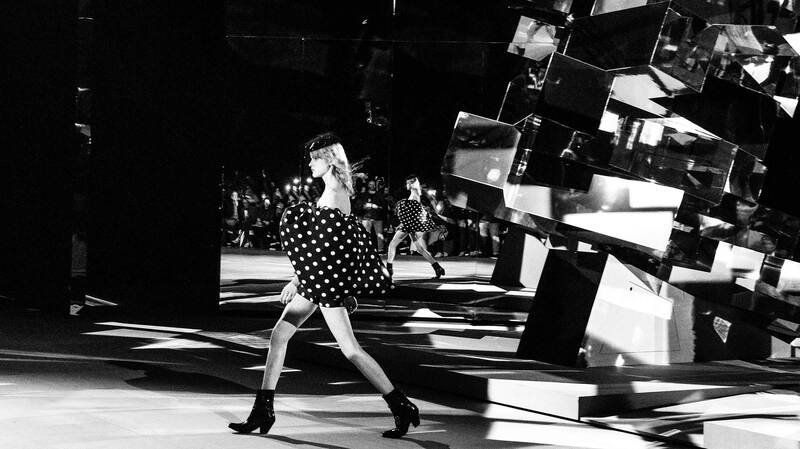 This season, spring/summer 19, was completely overshadowed by designer Hedi Slimane and his new vision for iconic French house Céline. When it was announced that Slimane, he who revolutionised menswear at Dior Homme before divisively reinventing the wheel at Yves Saint Laurent, was to take over from revered British designer Phoebe Philo, who was stepping down from the brand after ten years as creative director, jaws collectively dropped. 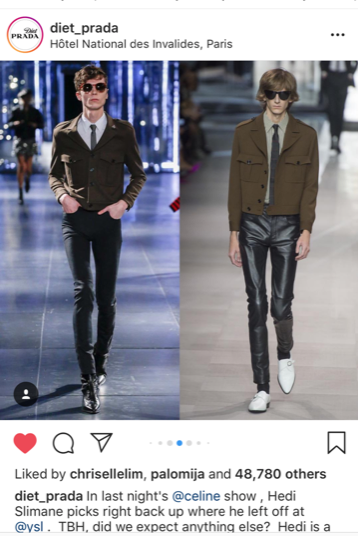 Praise that has rarely, if ever, been attributed to the work of Slimane. Since resigning from Saint Laurent by Hedi Slimane, as he renamed the house founded by French designer Yves Saint Laurent, Slimane has been out of the game for two years. Within that time both #MeToo and #Timesup have called into question the way women are treated within many industries, including fashion. The cries for greater diversity on the runway and improved treatment for those working within the industry, cries that have long been uttered, are finally starting to be taken seriously. 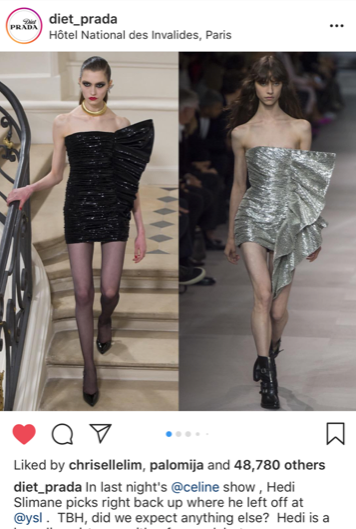 Although perhaps not by Slimane, who in his debut collection for Celine (now missing the accent above the first e), not only presented the same old silhouettes he did at Saint Laurent, but did so on a cast of women who were predominantly white, young and painfully thin. 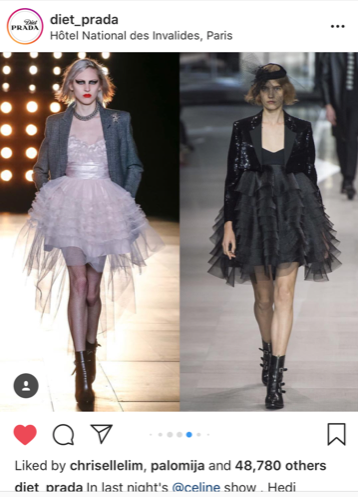 The collection has been almost universally panned, both for having nothing to do with the house of Celine and everything to do with Hedi Slimane, and for this tired and problematic depiction of women as little girls caught up in a hedonistic lifestyle. 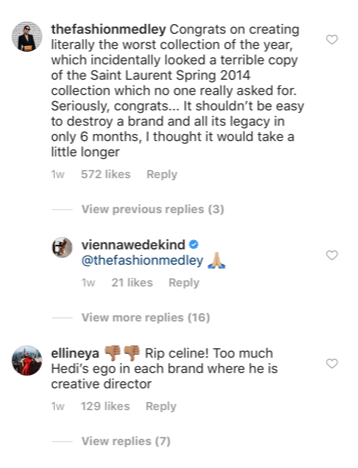 You don’t have to scroll very far through the new Celine instagram page to discover a barrage of comments discussing the collection and its broader implications. 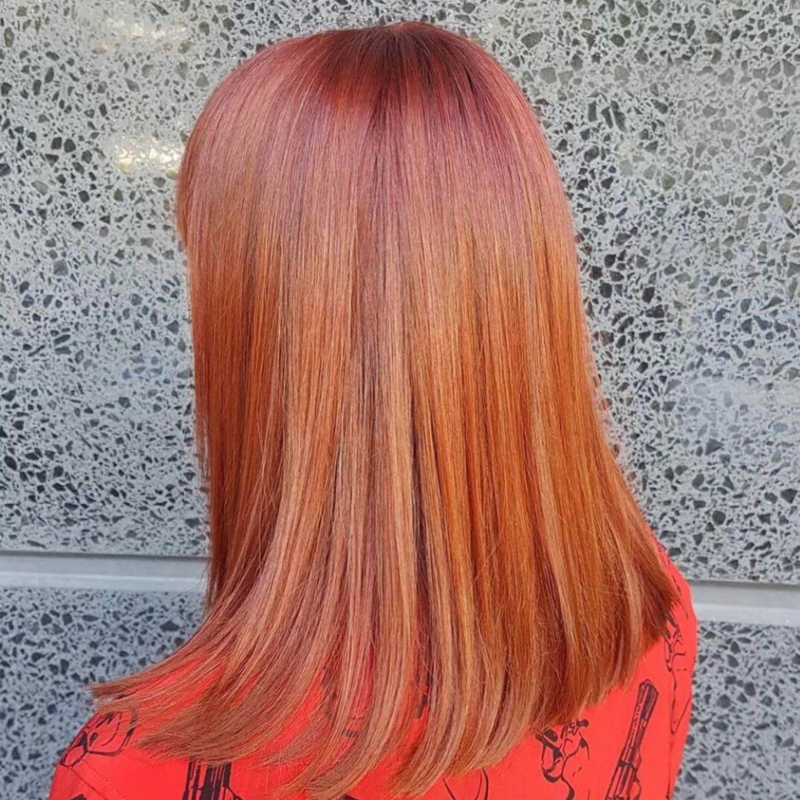 And that is perhaps what is so interesting about the reaction to this collection. Clothes are not just pieces of fabric, they are powerful tools for self-expression and we increasingly expect more from them and the people who create them. We want our clothes to stand for something and to reflect the changing shape of the society in which we live. 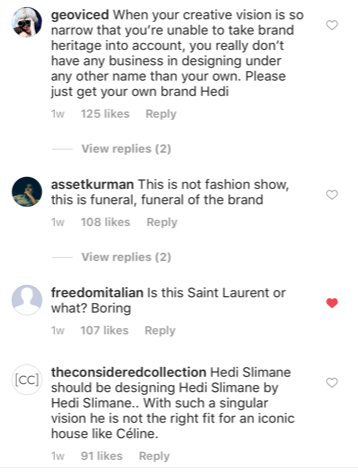 Rather than graciously accepting the criticism leveled at him, Slimane hit back at critics in a statement to television journalist Loïc Prigent describing them as conservative, puritanical and possibly homophobic. ‘For some in America, I also have the poor taste of being a man who is succeeding a woman. You could read into that a subtext of latent homophobia that is quite surprising. Is a man drawing women’s collections an issue?’ Slimane said in the interview. If the word ‘arrogant’ springs to mind while reading this, you are not alone. 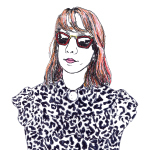 Previously, women bought Céline because the pieces Philo designed married fashion and style with ease and practically. The clothes spoke of empowerment and community. 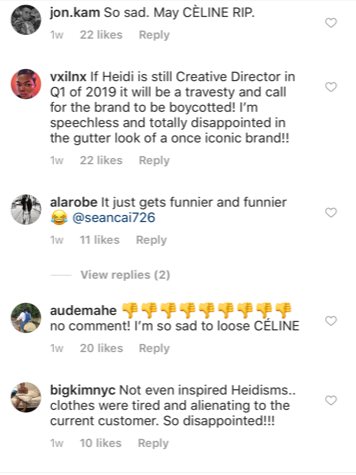 Under Slimane, Celine no longer speaks to women in this way and only time will reveal the impact this has on revenue for the brand. Nevertheless, Slimane and parent company LVMH, are banking on commercial success. 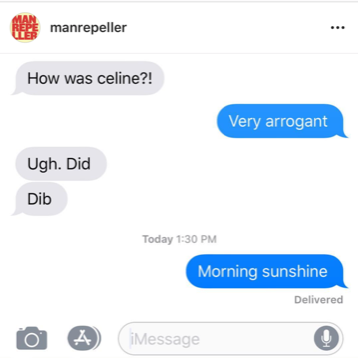 As well keeping an eye on sales at Celine, we will also be casting our gaze on the brands who will fill the rather lucrative gap left by Philo’s Céline. Our contenders are Loewe, The Row, Jil Sander, Hermès, Lemaire, and Gabriella Hearst. Washington Post, Wanted: Fashion designers who truly respect women. Now more than ever. Previous Article← The High Coffin Diet?